Tickets are priced as usual at £8. 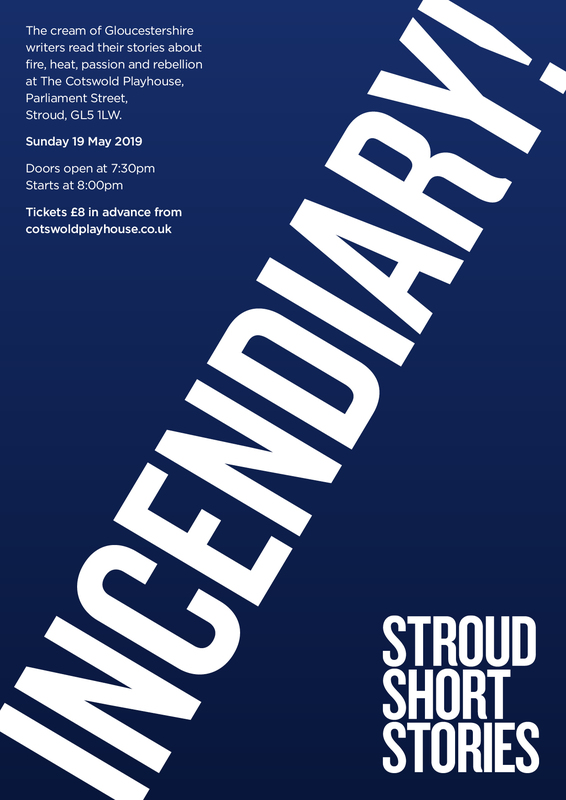 The event, at our new venue, the 150-seater Cotswold Playhouse, Parliament Street, Stroud, GL5 1LW, starts at 8pm (doors 7.30). Ten Gloucestershire authors will be reading their stories about fire, heat, passion, anger and rebellion selected from the 113 stories submitted.